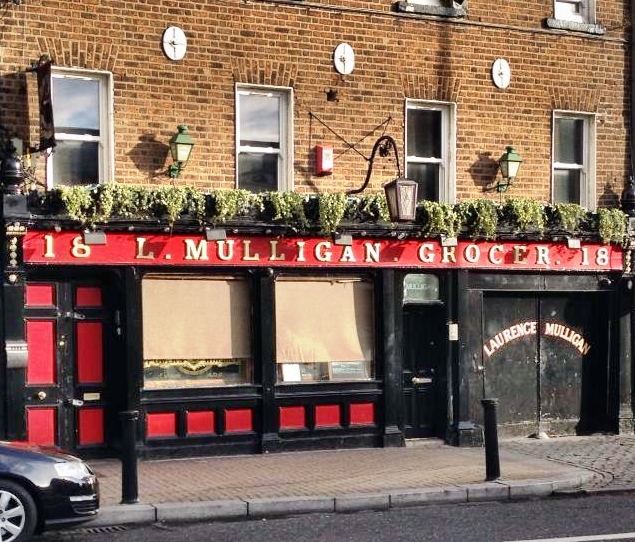 L. Mulligan Grocer – This pub in the Stoneybatter neighborhood on the north side of the river also has a sister pub W J Kavanagh on Dorset Street (that I didn’t manage to visit). It is not only a great pub for the beer lover but also a place to have a fantastic meal. I think the Sunday roast chicken was just as good as what was on tap. Here I had an IPA brewed by Mountain Man Brewing Company in County Cork that was excellent and a Pumpkin Ale from Trouble Brewing Company in Kildare. 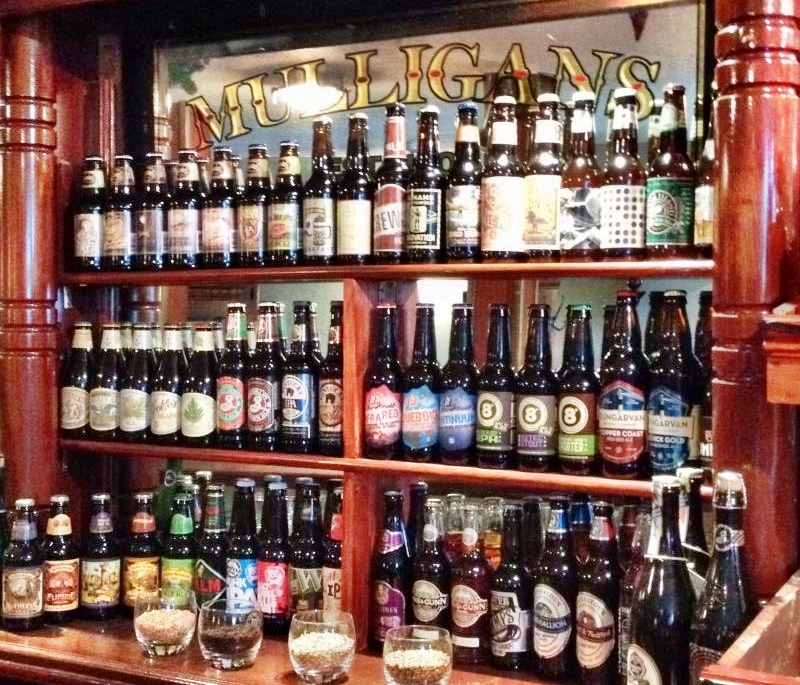 Mulligans is a nice reminder that it’s not just the beer that has gotten better in Ireland but also the cuisine. I remember being slightly horrified by the food in Ireland in 1990. Now I look forward to the culinary experience when I visit. 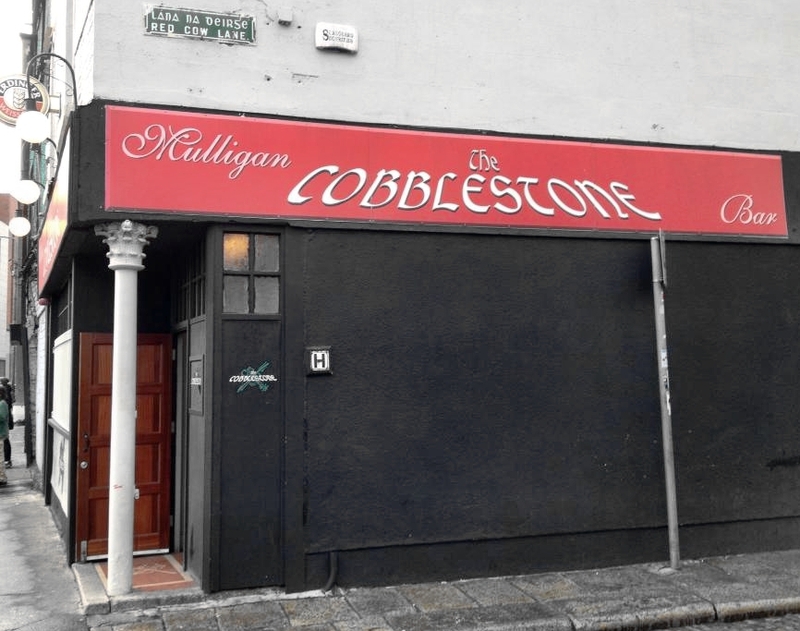 Cobblestones Pub – Not far away from L. Mulligan’s is what I would have to say is the place to go for traditional Irish music in Dublin. This pub is right across the street from Smithfield Square also on the north side. They do have a few good beers on tap as well. Mainly I just listened to the music here and had a couple of pints of Crean’s Lager which is from a small brewery just outside Dingle. Basically an Irish lager similar to Harp but a bit er in my opinion. 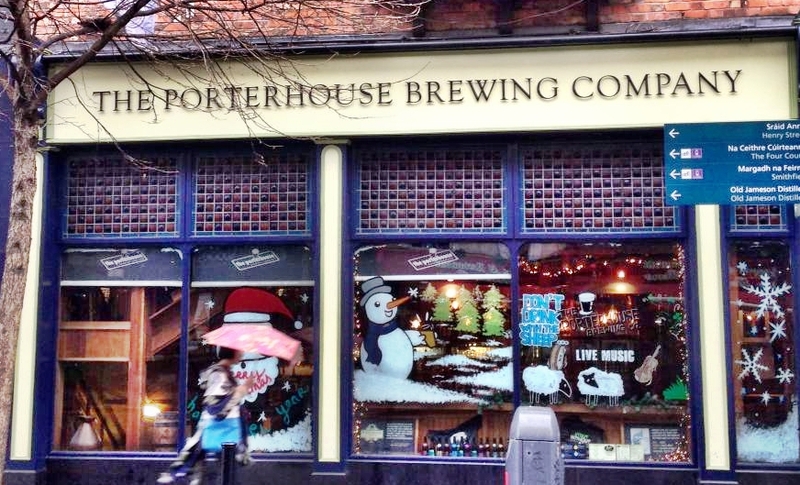 The Porterhouse Brewing Company – (Temple Bar and near Trinity College). This place has been around for a while. It’s not an onsite brewpub but they do have their own brewery and serve all their own beers. It’s a nice place if you are in Temple Bar or near Trinity. I recommend their Oyster Stout where – yes – they actually do use oysters somehow in the process of making this beer. It was funny sitting at the bar of this place and while I was there at least three people came in off the street and asked for a Guinness and were politely told that they only serve their own beers and all three people stayed and had their porter instead. 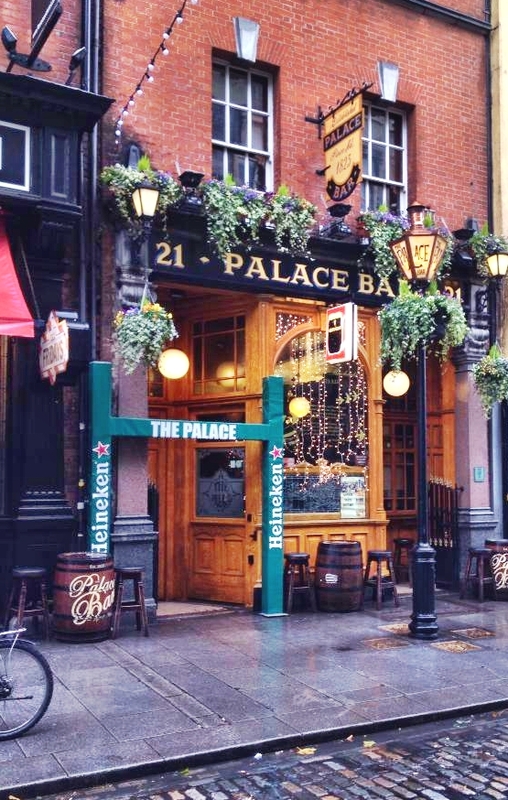 The Palace Bar – Overall maybe my favorite pub of the visit because it mixes the ambiance of an old, historical Dublin pub with the availability of some beer variety. They had on cask the Dungarven Helvick Gold from Dungarvan Brewing Company in Waterford. This might have been my favorite beer of the trip just because of how perfectly balance and easy a drink it was off the cask. One of those beers you can hang your hat on for the night and have multiple pints. 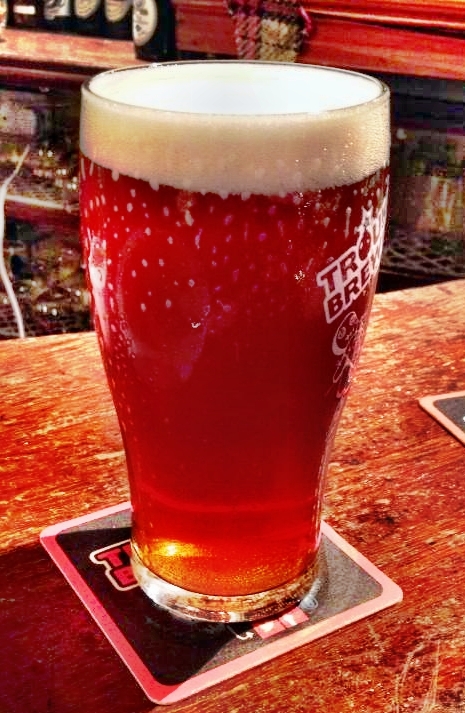 Galway Bay Brewery – This brewery has opened a few tied bars in Galway and Dublin as you can see from their website. In Dublin I visited two of the three. Against the Grain near St. Stephen’s Green and The Black Sheep on the north side of the river. Both nice, laid back places with a good variety of beers including those brewed by Galway Bay. Farrington’s – honorable mention for this nice pub in Temple Bar where I got to drink the Ginger Stout that recently won a local home brew competition and is now been commercially brewed and served on tap at Farrington’s. It’s a lovely beer. Bull and Castle – I highly recommend this beer hall just across from Christchurch in the medieval district. 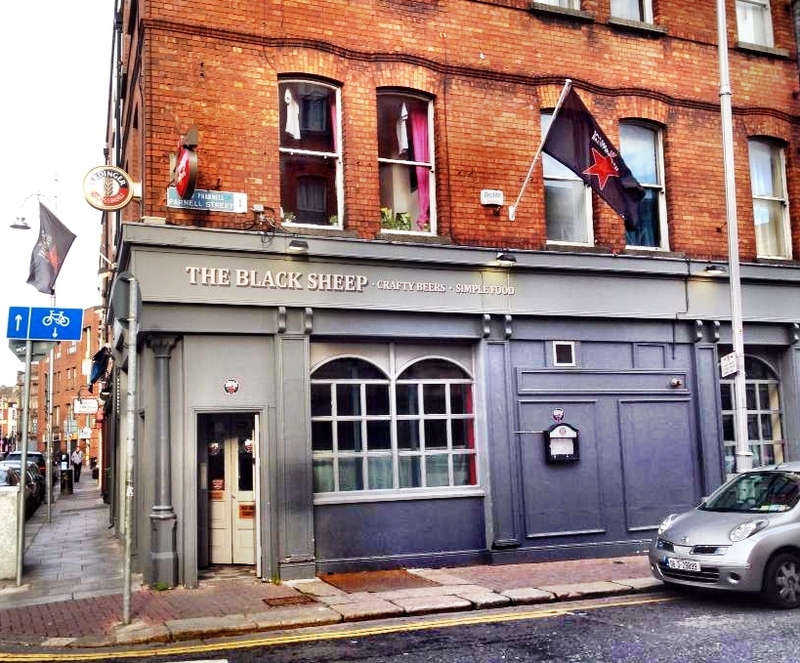 They are the first craft beer bar/gastropub to open up in Dublin. I think and their reputation is well deserved. Good food and a nice place and probably the most variety of Irish beers you’ll find on tap anywhere in the country. So that’s not all the pubs I visited but the ones that stuck out the most. We stayed at the Trinity Capital Hotel and we liked it and would stay there again. Everything mentioned was in walking distance of it including Stoneybatter. My only complaint is that I could have used a couple of extra days because I think there is much more to see and do and drink in Dublin. Maybe next time. For now I’m just starting to plan my trip with daughters to the west of Ireland in early May. 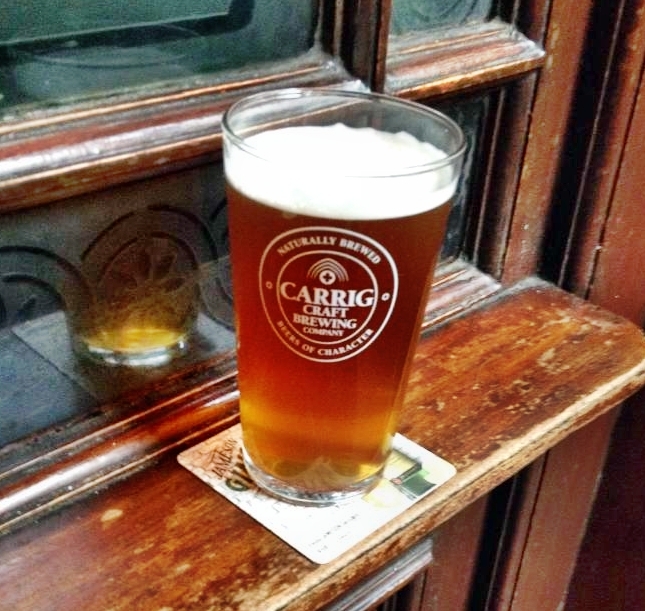 Mark, Thanks very much for your article about your craft brew pub crawl through Dublin. Just in time for St. Patrick’s Day!